There are a lot of questions that investors hold about a Self-Directed IRA. What is the best asset type? What are the best strategies for success? What are the pitfalls to avoid? What are the restrictions to avoid? And while these questions are tremendously important, sometimes, it’s good to cut through the clutter and get back to what really makes retirement success more likely. And the real answer is simple—so simple, in fact, that you might think there’s something more to it. The simple fact is, you’ll get out of your retirement what you put into it—at least on the whole. It’s like anything else in that regard: if you’re willing to put in work and money, you’re probably going to get some results out of it. If you’re not willing to put in that work, you’re probably not going to realize those same results. The good news about a Self-Directed IRA is that it can only feel like a lot of work on the front end. But after you’ve researched your investments, you might even find that the process is mostly automatic after that. The answer? Your savings rate. How much money you put into retirement, plain and simple, is one of the most overpowering factors in your chances for success. Those who invest 20-40% of their income are far more likely to enjoy financial freedom in their retirement days than those who invest 10%, 5%, or even less. Of course, your savings rate isn’t necessarily efficient. Even if you put a lot of money away, if you make the wrong decisions with your Self-Directed IRA, a lot of that money will go down the drain. That’s why it’s important to put both money and the energy of thought into your retirement strategy. That’s the work that will ultimately pay dividends over time. How does one maximize their investment? The first is simply by using an IRA to begin with. If you use a general investment account, you’ll have plenty of freedom, but you’ll also find that the taxes cut into your returns. By working with a tax-advantaged account, you can utilize an instant lever for expanding your growth over time. That might not seem like a lot right now, but as you consistently chip away at your retirement account, you’ll find that the percentages add up to a great deal over your lifetime. Of course, if you’re going to put a lot of your money into a project as ambitious as retirement, you’re going to have to feel inspired by it. You’re going to have to feel confidence in it. You can do that by using a Self-Directed IRA to invest in the type of asset that you know a lot about. For example, real estate investors can have a tremendous amount of success by investing in real estate through their IRA. By utilizing those legal protections and keeping them separate from their personal investments, they’re able to build a strong nest egg using what they already know about the real estate market. The same might be true of another strategy. But before you jump head-first into the deep end of the pool, put in the legwork up front. Ask the right questions and keep learning. 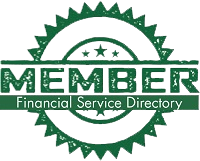 You can keep reading here at www.AmericanIRA.com or call us at 866-7500-IRA to find out more about a Self-Directed IRA and how it works. Want to Save on Fees with a Self-Directed IRA?